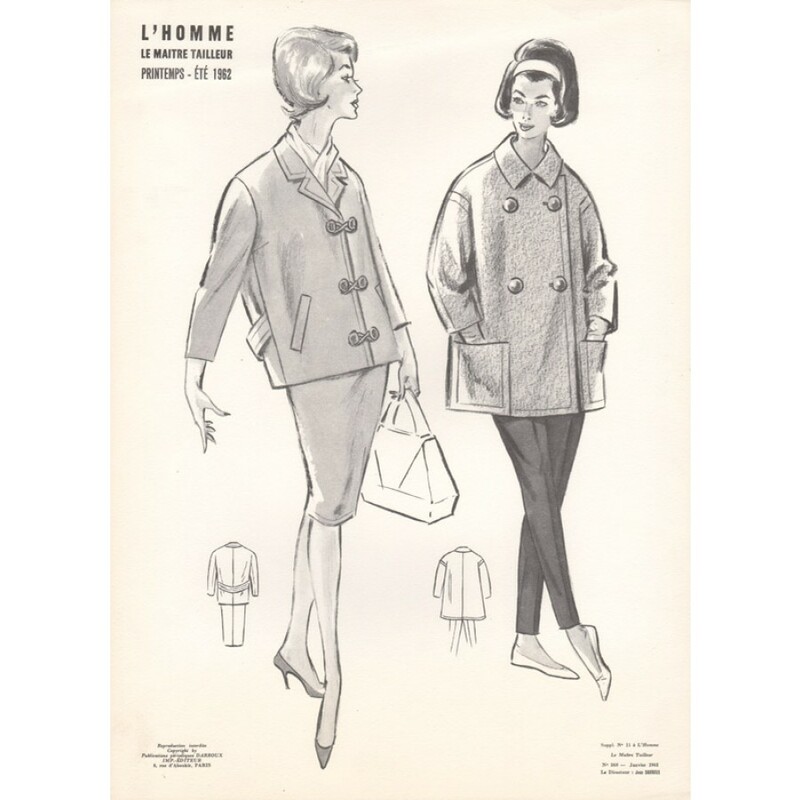 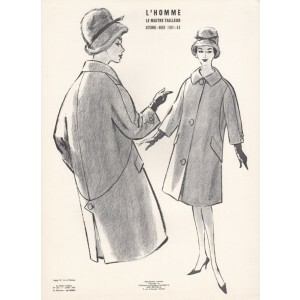 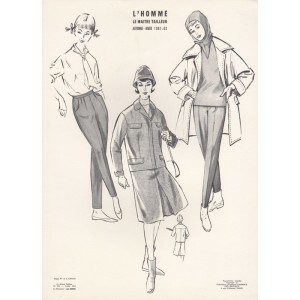 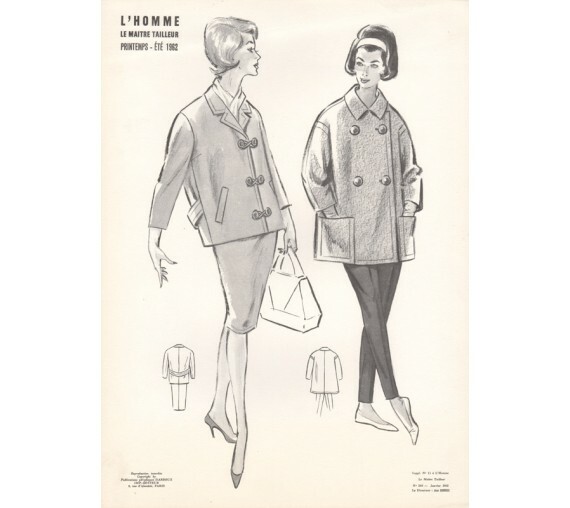 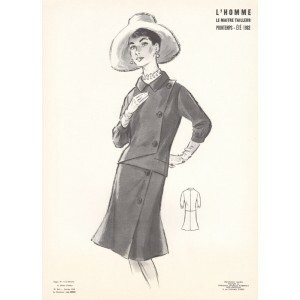 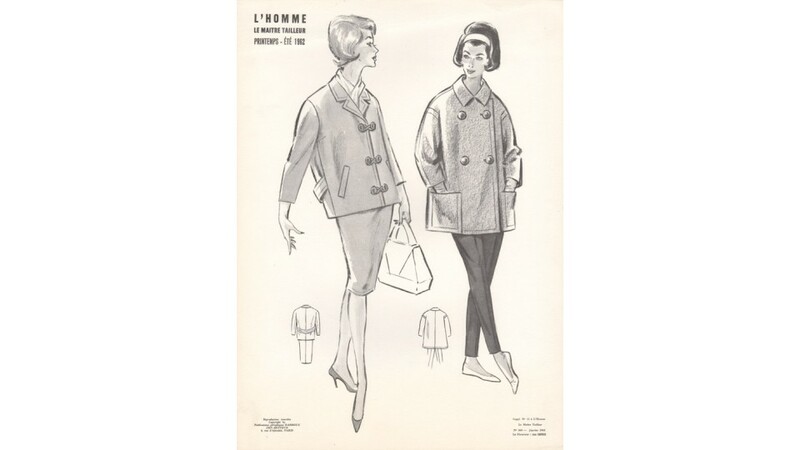 French fashion design published as a Supplement to 'L'Homme', a Parisien fashion periodical. 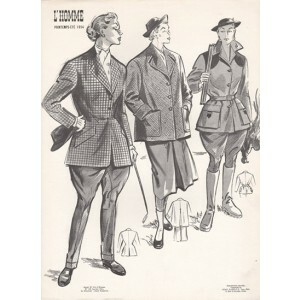 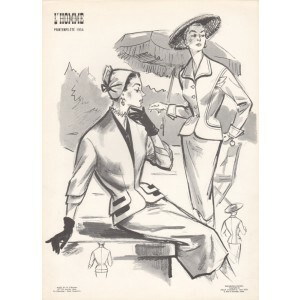 Darroux was a Parisien tailor, who designed several series of designs, probably for other tailors to use. 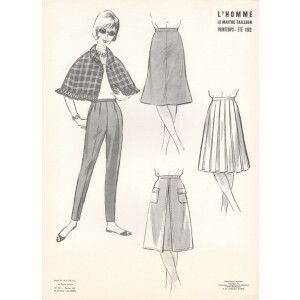 Light crease at the top of the sheet.